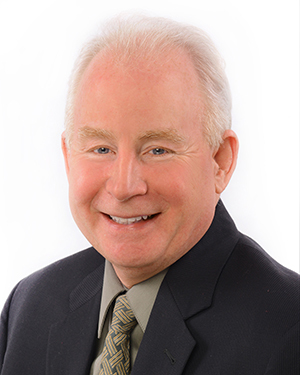 Blog Posts - Michael Travis, Real Estate Advisor realtor advisor for waterfront homes to everyday homes to luxury estates for sale. When the lake and mountain view is as inspired as the house behind you. There are homes with great views. There are great homes that are astounding just to look at. When you combine both it truly is the perfect blend of man and nature. Take the case in point of 23 Newport Drive in New Durham, NH. The home itself is an architectural masterpiece in every way. Mountain living presents its own challenges. This home is built to withstand mountain top living while preserving views and the aesthetics of the surrounding beauty with 50+ year shingles, high density spray foam insulation throughout, massive wood trusses and huge windows, radiant heat on marble and wood floors guaranteeing a warm setting even in the dead of winter. Each of the bedrooms have their own tiled ensuite bathroom. There's a game room you never want to leave. The chefs kitchen takes advantage of the views. The Great Room with towering cathedral ceiling sand impressive stone fireplace is - well greater than most. The custom 4 inch thick front door looks like something you would find in the greatest castles in England. The craftsmanship and attention to the finest details will never disappoint. Even your dogs have their own kennel with an indoor/outdoor opening to their own third of an acre fenced in play area to roam. 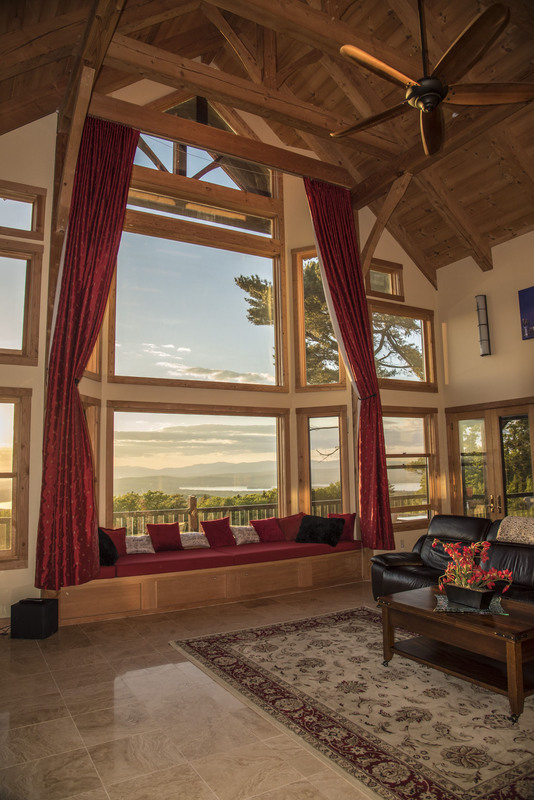 To take in the views you have panoramic windows and a 90 plus foot deck comprising of over 1500 sf of mahogany decking. There is also a private balcony off one of the second floor bedrooms. Enjoy an evening fire in the covered outdoor stone fireplace on the deck as well. Now lets add a 36x50ft custom barn with two sets of 12 foot barn doors to accommodate heavy equipment and a heated fully equipped shop upstairs. There is a heated bathroom inside so you never have to go back to the home to interrupt your work. The concrete on the floor is set up for easy removal incase an owner wants to convert it into horse stables. 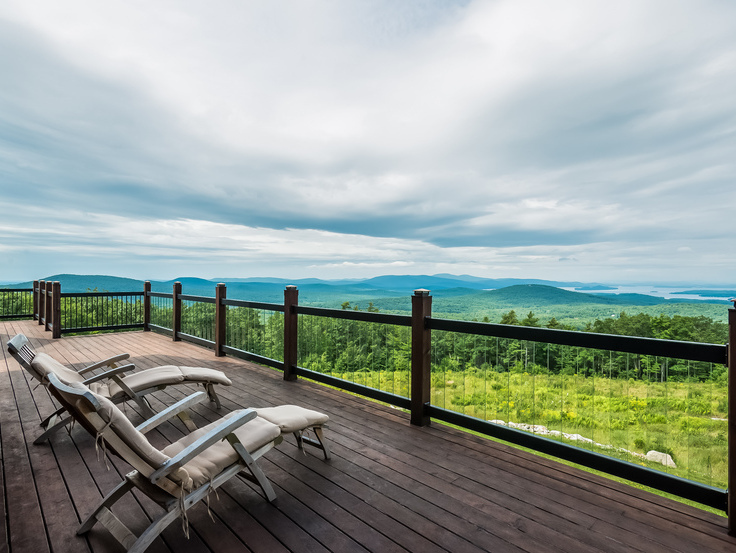 What may be most compelling about this property is the million dollar view-Perhaps it is really a 2 million dollar view of the entire #NewHampshire Lakes Region including 44,000 acre Lake #Winnipesaukee and all the surrounding majestic lakes and mountains. Sited on the top of Copple Crown facing west you have never ending and always changing sunsets. The view never gets old. I am often asked if you can put in a dock or enlarge an existing one in any lake property. There are several aspects to consider. 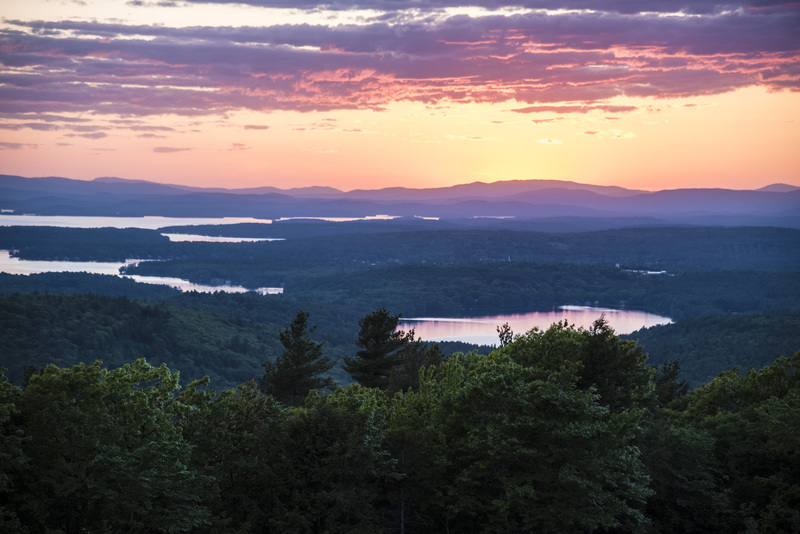 All natural bodies of water are held in trust for public use by the State of New Hampshire. Under RSA 482-A, NH Wetlands Law, constructing new structures such as docks, boat lifts, jet ski lifts, retaining walls, breakwaters and perched beaches in or on any bank, flat, marsh or swamp in and adjacent to and waters of the state requires a permit. This permit serves as permission for an entity to build and maintain a structure within an area held in public trust. Dock owners may replace a grandfathered dock without complying with statutory setback and other current statutory limitations as long as they do not change the size or configuration of the dock, which would trigger current permitting requirements. Problems arise when the replacement dock is larger or closer, from the abutter’s perspective, which can raise issues of encroachment, trespass and private nuisance, among others. Selling you home is more than just listing it on MLS. With over 1,300 lakes surrounded by a state that is 86% trees, people come here to enjoy the best that Mother Nature offers. A big part of my job is to help buyer realize and live their dreams. 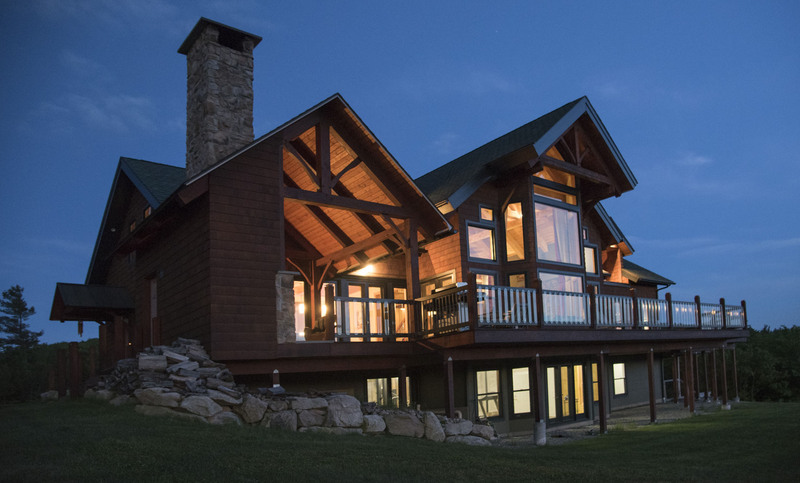 Your lake home is part of that dream. I have lived on or near water my entire life. My family even owned a private island, 9 miles by boat and 28 miles by car to the nearest town called Little Current — and that was an overstatement. I understand and appreciate the emotions and fond memories attached to such special places. Prior to a real estate career which began in 2004, I spent 35 years in advertising as an art director, writer, photographer, and designer in NYC and Boston. I have worked with three US Presidents, a five-star General, countless celebrities, corporate moguls, top fashionistas, and well over 450 different accounts in every category. This included marketing multi-million dollar homes for a Boston-based real estate company that has since become a Sotheby's affiliate. I’ve expanded my skills to include drone aerial imaging, videos, electronic and printed brochures, social media and so much more. I have two sites of my own--one is dedicated to waterfront homes and the other is a more general. As a real estate agent, I have consistently been a multi-million dollar performer. I have marketed, helped sell, and sold properties on more different bodies of water than any agent in the state of New Hampshire. I am a member of the Luxury Home Portfolio, Institute of Luxury Home Marketing, Haute Residence International, Proxio Pro International, and Bean Group’s esteemed Platinum Collection. I believe real estate is about marketing. I believe my unique background and talents, combined with the Bean Group dominance in the marketplace, will prove to successfully promote your home like no other. Whether you are a buyer or seller, I bring real-life experience to your real estate experience. Below is a link to a feature story in Top Agent Magazine that says it all. 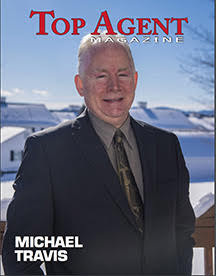 Featured in "Top Agent Magazine"--Read the Story by Clicking Here! I am also a premier agent for Realtor.com, Trulia and Zillow so the exposure for your property will be maximized. And of course the Bean Group is the finest real estate company in the state I believe in maximizing exposure of your home to the world. I wanted to mention that I am also heavily invested in social media. 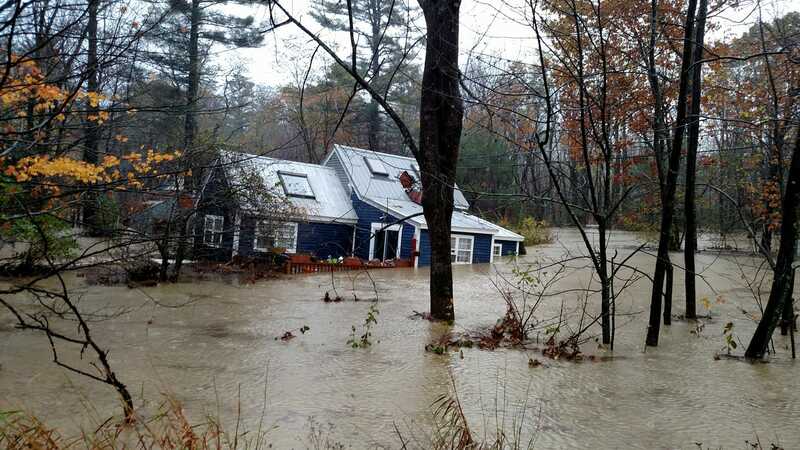 In fact I started a closed Facebook Group called "Lakes Region Realtors" for agents to talk to each other about listings, safety issues and other info. I am also involved with several other real estate groups to help market your home. I look forward to partnering with you to help market and sell your property. Ice-Out.com is devoted to progressive aerial photos of the ice receding on Lake Winnipesaukee. It's a co-operative volunteer effort between Emerson Aviation (It's Dave Emerson who officially calls ice-out each year) and the great aerial photographer I have had the pleasure of meeting, Bill Hemmel of http://www.aerialphotonh.com/ . Here you can also see and purchase some of the finest aerial photography in the state. "Ice-out" does not mean that all of the ice is gone. It is actually the moment when the M/S Mount Washington could cruise to all five of it's ports: Alton Bay, Center Harbor, Weirs Beach, Meredith and Wolfeboro. The earliest recorded ice-out (in 135 years) was March 18, 2016! The latest was the very cold winter on May 12, 1888. 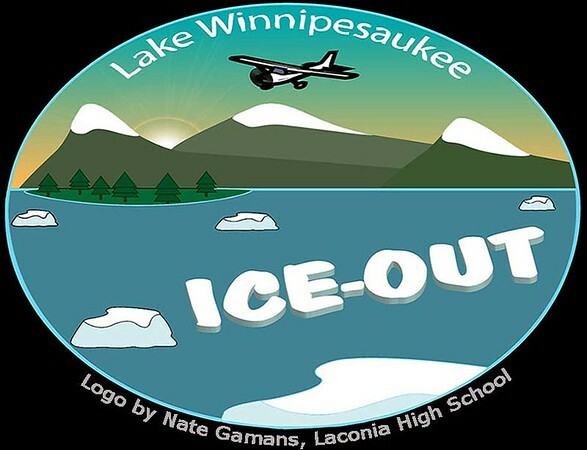 As for other lakes in New Hampshire, the NH DES VLAP began tracking Lake ice-in and ice-out dates in 2011 as there was no central repository for this information in New Hampshire. Many New Hampshire lakes have historical ice out records dating back to the early 1900's, Lakes Sunapee and Winnipesaukee to the 1880's, but not as much data exists for ice-in records. Tracking both ice-in and ice-out allows the determination of total ice cover days which is another important part of tracking physical, chemical and biological changes to lakes over time. With the erratic weather conditions experienced in recent years, the information can also help track climatological shifts and trends. Here is a link for detailed Ice-in and Ice-out dates for other lakes. Whatever you do don't walk, drive on or take a snowmobile on any frozen lake without knowing how safe it is to do so. That is another story for sure. NOTEPersons participating in a fishing tournament must still hold a license, even on free fishing day. 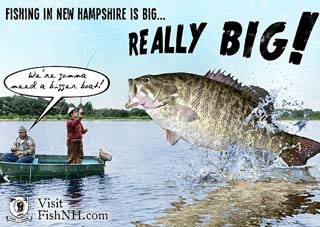 • State residents and nonresidents alike can fish any inland water - or saltwater - in New Hampshire that day without a fishing license. • Note that season dates, bag limits and all other fishing regulations must be followed on Free Fishing Day. If you get hooked on Free Fishing Day, enjoy the fun year round. Licenses are available online or from any of 250 friendly local license agents statewide. You don't need a license if you are under the age 16 in New Hampshire. 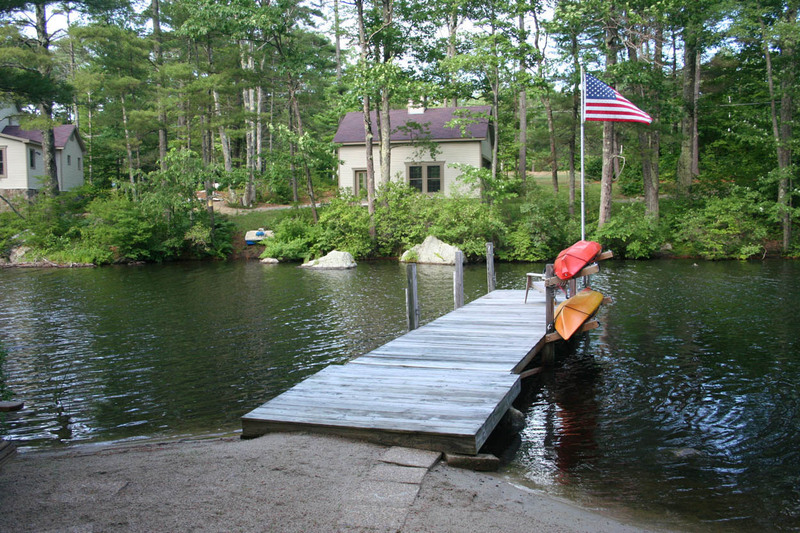 Morning in America -- on Long Pond from Waterfront Agent on Vimeo. 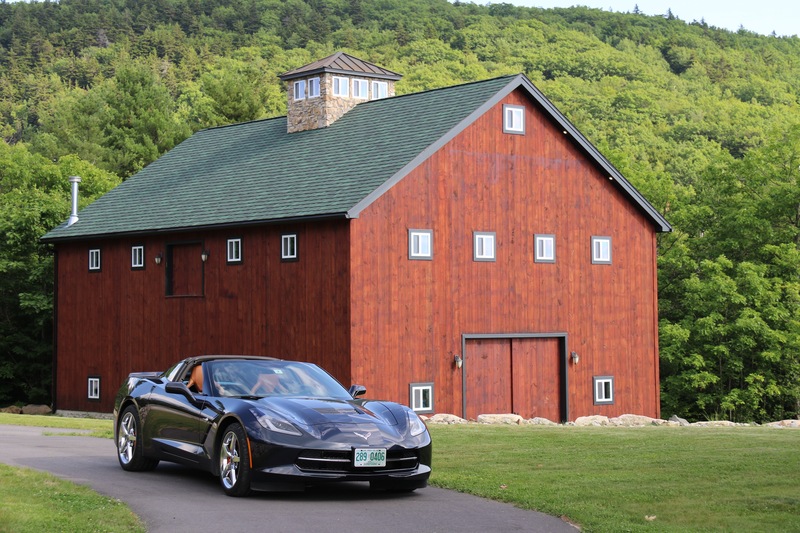 Living the good life in New Hampshire cost far less than you would expect. Having lived in NYC, East Haddam in Connecticut for weekends, and the North End of Boston I had a different opinion of New Hampshire long before ever stepping foot in the State. People I knew would call it "Cow Hampshire" or "New Hampster". Here is my "New Hampshire State of Mine"